Conference Series Ltd invites all the participants across the globe to attend 4th International Conference on Electrochemistry Rome, Italy. Ralph Gilles a Senior Scientist, has his expertise in neutron scattering methods for studying energy materials as batteries and high-temperature alloys. Especially, the use of in situ, in operando methods (very often combined with non-destructive measurements) on real bulk samples enables a powerful tool on energy related topics. In his group methods as neutron diffraction, small-angle neutron scattering, grazing incidence small-angle neutron scattering, imaging, neutron depth profiling and neutron induced prompt gamma activation analysis are applied for battery research. He is an Industrial Coordinator of Heinz Maier-Leibnitz Zentrum, Coordinator of the Materials Science group and Head of the Materials Science Laboratory. For a better understanding of the electrochemistry in batteries a huge demand emerge for in situ and in operando characterization methods. 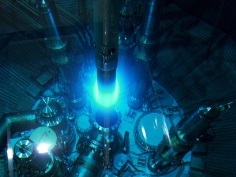 Due to the high penetration depth and high sensitivity of neutrons to light elements as lithium such a probe is more and more attractive in the last decade. This contribution gives an overview how neutrons with their unique properties contribute in the development of new battery cells. During charging and discharging of NMC/graphite cells the intercalation of Li in the graphite layers can be observed in situ with neutron diffraction (ND) as such measurements are sensitive to detect LiCx phases as LiC6 and LiC12 during the intercalation/de-intercalation process. Under fast charging conditions and low temperatures the appearance of Li plating can be studied. A correlation of C-rates and Li plating is investigated by means of voltage relaxation and in situ ND. Batteries consisting of lithium iron phosphate (LFP) are often used for stationary energy storage systems. Here neutrons provide the answer why various types of graphite result in losses of the storage capacity. On larger scales of >50 micrometer neutron imaging (radiography and tomography) enables a non-destructive view inside the cell to make visible for example how the electrolyte filling with the distribution of the electrolyte in the cell between the layer stacks in a pouch cell takes place. The use of neutron induced prompt gamma activation analysis (PGAA) is a powerful tool to describe the capacity loss of the cell caused by tiny metal deposition on the graphite anode after charging/discharging processes. The method of neutron depth profiling (NDP) is suited to study near surface phenomena as the Li distribution in electrodes. A new set-up for NDP is currently under development to improve the space resolution and to measure with a time resolved mode. W Knoll earned his PhD degree in Biophysics from the University of Konstanz in 1976. From 1991-1999 he was the Laboratory Director for Exotic Nanomaterials in Wako, Japan, at the Institute of Physical and Chemical Research (RIKEN). From 1993 to 2008, he was Director at the Max Planck Institute for Polymer Research in Mainz, Germany. Since 2008, he is the Scientific Managing Director of the AIT Austrian Institute of Technology. Since 2010 he is a Regular Member of the Austrian Academy of Sciences. He received an Honorary Doctorate from the University of Twente, the Netherlands in 2011 and became a Member of the Academia Europaea in 2017. Graphene, a two-dimensional zero band gap semiconducting material, has gained considerable interest in material science, energy storage and sensor technology, due to its remarkable electronic and mechanical properties. It’s high carrier mobility and ambipolar field effect, together with a great sensitivity towards changes in environmental conditions makes graphene perfectly suitable as transducing material for the use in various types of sensors. In this report, we first describe a novel biosensor exploiting the pH dependence of liquid gated graphene-based field-effect transistors for the enzymatic detection of urea. 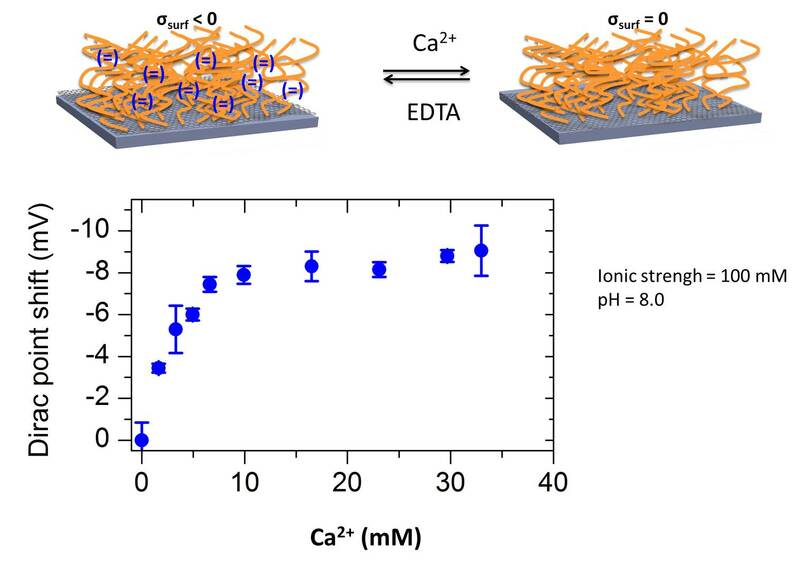 The channel between the interdigitated source-drain microelectrodes was non-covalently functionalized with bilayers of poly (ethylene imine) and urease using the layer-by-layer approach, providing a LoD below 1 mM urea. Next, we present a sensor based on a reduced graphene oxide field effect transistor (rGO-FET) functionalized with the cascading enzymes arginase and urease as recognition elements in a layer by layer assembly with poly (ethylene imine). The build-up of this nano-architecture was monitored by surface plasmon resonance spectroscopy. L-arginine was quantitatively detected by the change in current between source and drain electrode due to electrostatic gating effects conferred by the formation of OH- ions upon enzymatic hydrolysis of the analyte L-arginine. And finally, we will describe first results on the coupling of calcium-responsive polymer brushes to graphene field-effect transistors. The presence of Ca+2 ions neutralize the charge of the phosphate groups leading to a change of the Dirac point by electrostatic gating effects. A formalism using the Langmuir adsorption model and the Grahame equation is used to obtain the surface coverage from the change of the Dirac point.